LeMall.com is now Offering Epic Accessories Flat Rs.500 off from Rs. 0. 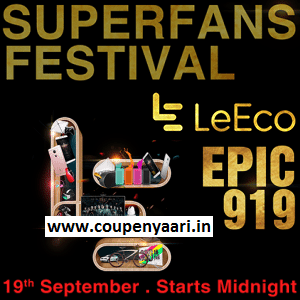 How to Buy LeMall Epic 919 Superfans Festival?